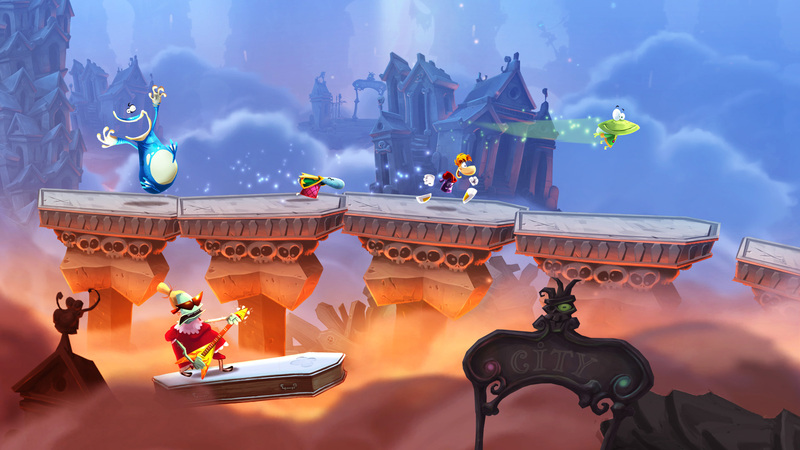 One of the big pushes for Nintendo's upcoming Wii U is so-called "asynchronous play," essentially a gameplay mechanic that allows two players to participate in the same real time game experience while contributing different functions toward achieving a shared goal. 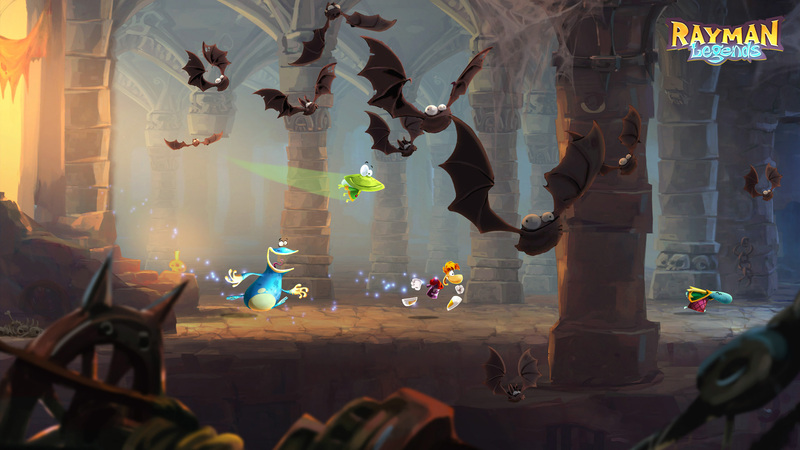 In the case of Wii U's Rayman: Legends, one player controls Rayman with the standard gamepad, while the other uses the Wii U tablet to guide a grinning green bug with a penchant for teleportation. 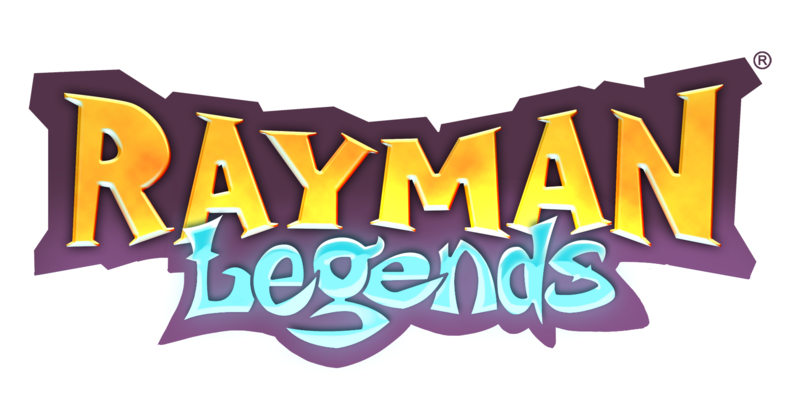 In Legends, Rayman basically has two functions: running and punching. 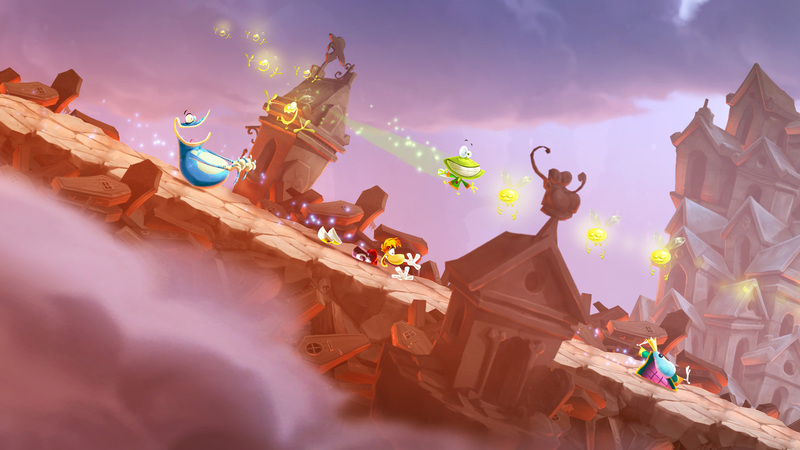 Using these in combination helps him to pass through a standard (usually) 2-D platforming world while he deals with enemies, item collection, and some insidious environmental traps. The other controllable character, Mr. Bugface (as I have decided to call him), has no say in actual progression, assisting in a support role reminiscent of Tails. Bugface, unlike Tails, however, travels alongside his companion with much more, often necessary, purpose. 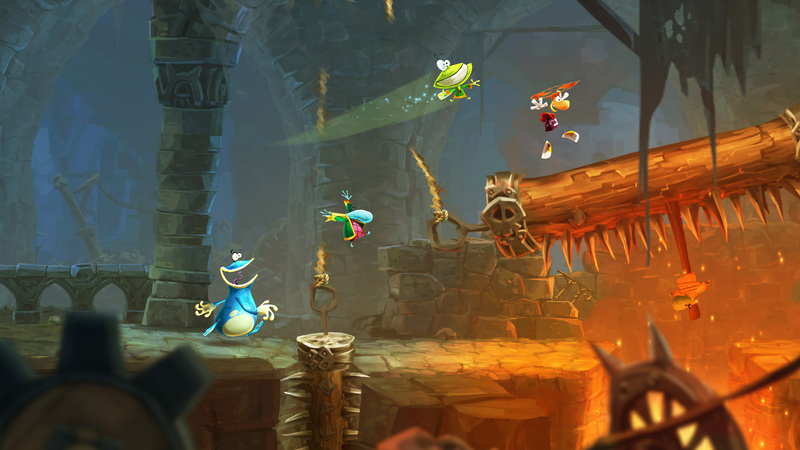 The hands-on demo began in a jungle, where Rayman attempted to do something pretty common in these types of games: get from the left side of the map to the right. 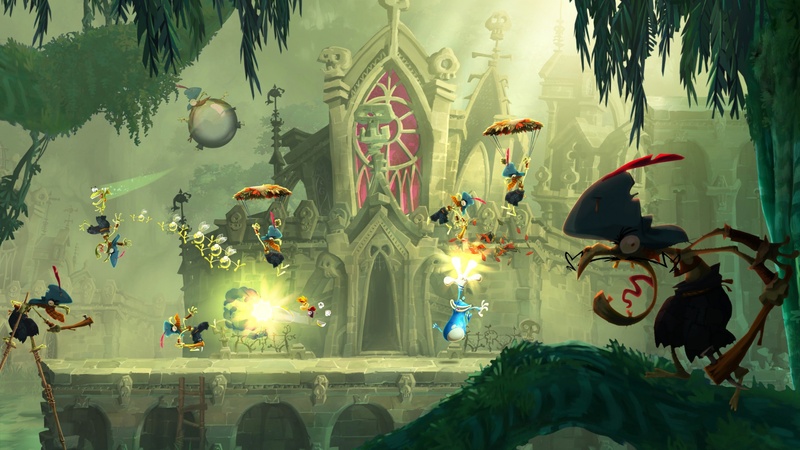 Along the way, I (in the role of Mr. Bugface) helped clear away bushes hiding doors, chop vines that dangled log bridges out of Rayman's reach, and lifted baddies by their ankles to drop them ignominiously on their heads. Each of these actions were performed by swiping my finger across the controller's touchscreen, not by using the buttons. 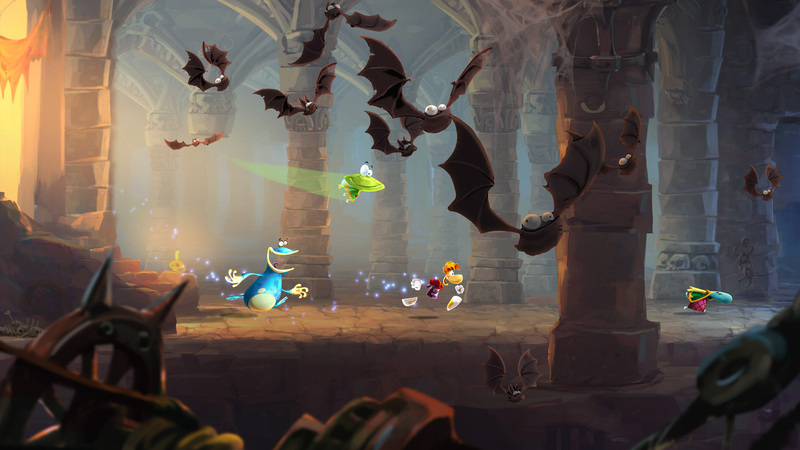 With relative ease, we soon reached a castle-type area, where Rayman became faced with traversing a series of death wheels, each packed with a maze of small platforms and spikes. 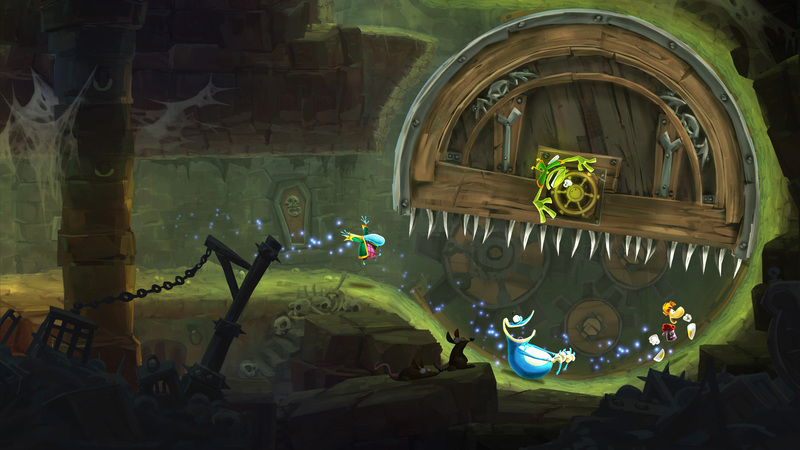 My character, Greeny McBuggerson (I decided on a name change around this point), was tasked with spinning the wheel while Rayman was inside of it, a daunting trial of teamwork. If I spun it too much or too little, the other player would be tossed into the spikes and we'd need to start over. If he jumped, or even moved without consulting me, we'd face the same consequence. Each section required a great deal of communication to prevail. 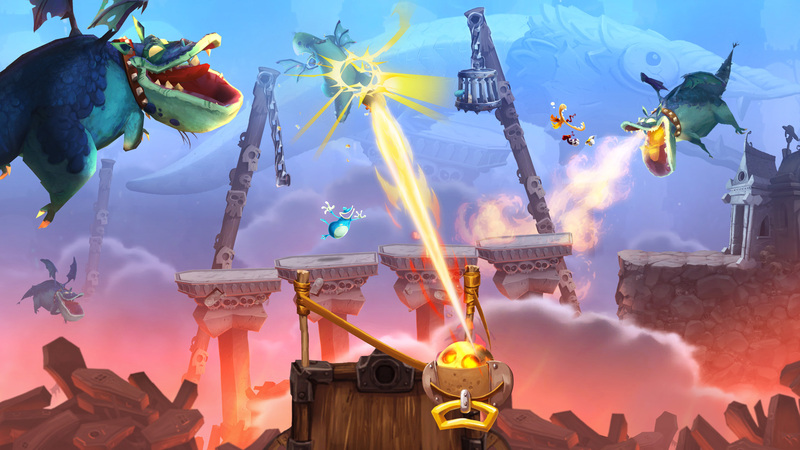 Eventually, I switched to Rayman on the standard controller, and tried my hand at platforming. The gameplay from this end felt much more standard for the genre, but the wacky environment kept things entertaining. For my mission, I was forced to run across a crumbling bridge, jumping across gaps and punching down walls of skulls to the beat of some punchy music. Eventually, multiple flying grandmas rocking electric guitars showed up, because, you know, the scene would never had made sense without an explanation of where those thumping riffs were coming from. Overall, the gameplay was fun and, at points, challenging. The asynchronous mechanic, however, often felt more like they were trying to find something for the bug to do rather than offering him consistently compelling tasks. Regardless, it's a great way to include a friend in real-time, allowing both of you to play two separate games simultaneously.